Robert Villa Hotel was built in August 2010, its doors were opened for the tourists in September 2010. 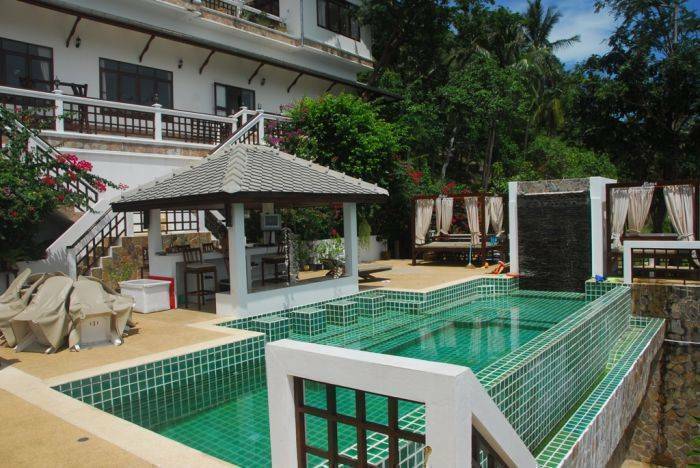 The hotel is located in the Bang-Po village on the northern coast of Koh Samui (Thailand). 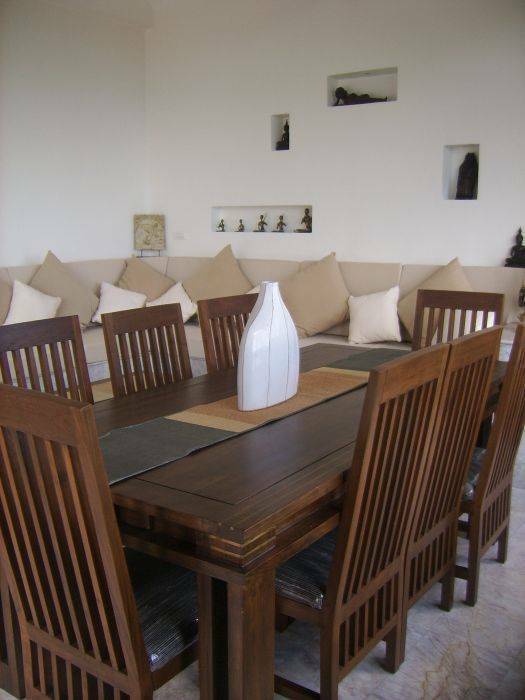 It is situated on a wonderful hill with a spectacular view of the sea and the neighbouring island of Phangan. The hotel offers everything you need and you can comfortably stay or live here for months. The hotel proposes free parking, swimming pool, 24-hour bar, billiards, darts. 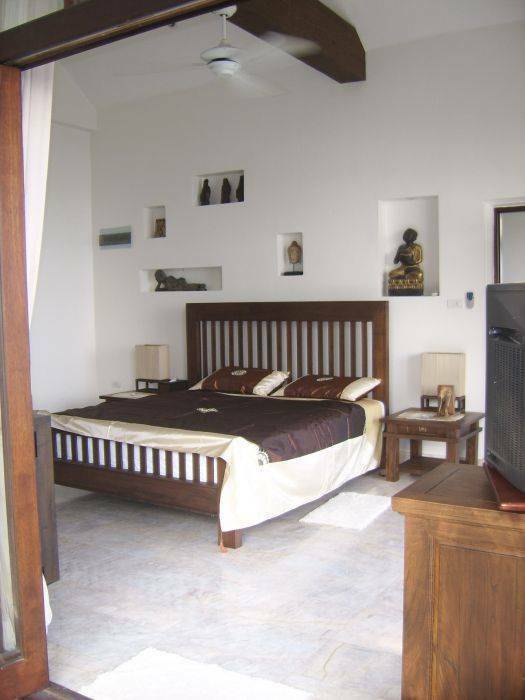 Looking for Simple, Comfortable, Secured and Impressive way for lives, Come to Robert Villa Hotel! Robert Villa Hotel accommodation provides the highest standard of "privacy and security" expected from today's business and leisure traveler. 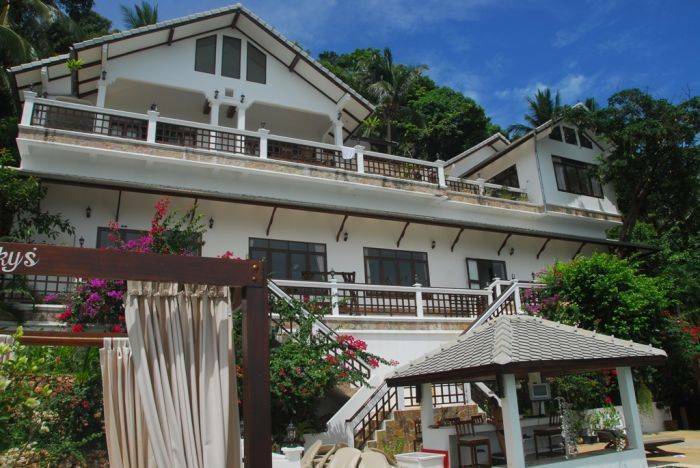 Renowned for being one of high standard accommodations in Koh Samui, the services at Robert Villa Hotel are impressive. Guests' requests will be handled professionally with the help from good-natured staffs. Moreover, this property offers additional services for further conveniences for instance free Car Parking. Booking rooms at Robert Villa Hotel is easy, secure and can save your money. Online is the easiest and fastest way to make reservations. But if you do not feel comfortable providing your credit card information online, you can always make reservations by phone. Please use the form at the left. After we receive your booking enquiry, you get a detail offer about availability, total costs and the cancellation policies for the requested period. If room is available and you wish to confirm, you might be ask to secure the booking by a deposit within 2 days. Please note, that room availability sometimes change daily, especially during peak seasons. For pick-up service request, please re-confirm flight details before arriving. Never send credit card details by email or from unsecured websites ! Either use our secure online payment page. If you have to cancel a reservation, please do it as early as possible by email. Deposits are usually non-refundable unless other notice. Family Room - a room, two bedrooms, two bathrooms with shower, bath and living room, air conditioning and mini bar also lead into the rooms, rooms with stunning sea views and pool room is located on the third floor of the building. Standard Room - Each room has a personal air-conditioning and ceiling fans, shower or bath, TV, minibar, safe, location on the second and third floor of the building. If you enter a valid email address, you will receive an answer within a few hours. However, due to different time zones and weekends, it can be a delay by up to 24-48 hours in some cases. If a room is available and you wish to confirm, you may be asked to secure the booking by a deposit within 2 days. Please note that room availability sometimes changes daily, especially during peak seasons. Never send credit card details by email or from unsecured websites! Either use our secure online payment page. Upon arrival to the guest fee is charged 5000THB deposit for the bar, and hotel services. Amount Returns immediately after the departure of the guest of the hotel. Cancellation New Year holidays (from December 15 to January 15) is impossible. 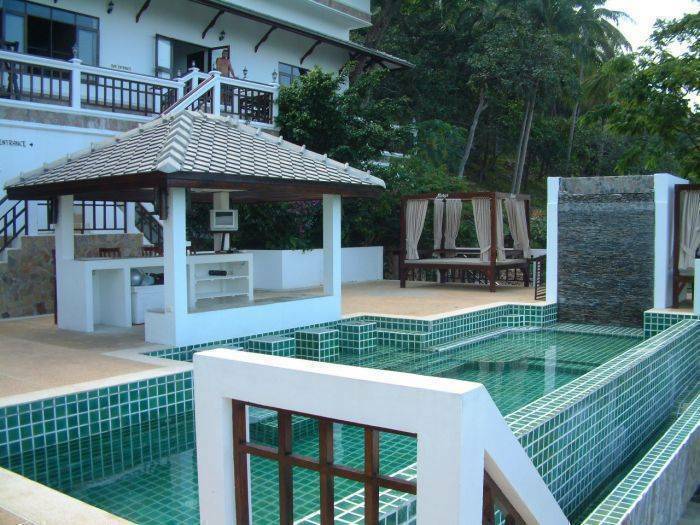 Robert Villa Hotel is situated at the Bang-Po beach on the northern coast of Koh Samui island in Thailand. Koh Samui is an Thailand island of natural beauty and charm, a place where you can spend your holiday as you like it. Beautiful white sand beaches, clean, clear warm water; lush tropical gardens and gentle ocean breezes await you at this ideal holiday destination. If you love the beach, this is the place for you! Koh Samui has amazing beaches all along its coastline and they definitely are the ones that made Samui so famous among travellers. Wherever you decide to stay, all of them are white sand. You'll find many long beaches, laying like vast strips of sand in the sun, lined with coconut trees. Koh Samui weather is almost always beautiful. Blue sky days and a nice ocean breeze are usual. From late December till the end of March it is the ideal tropical island weather experience. Getting here is easy - just a short 80 minute flight from Bangkok, but literally a world away from the action packed streets of the capital city. was founded in August 2010, its doors were opened for the tourists in September 2010. Bang Po Beach is located on the northwest corner of Koh Samui, between Nathon and Maenam. The beach is four kilometers long and faces to the north with views of waters are calm in this area of Koh Samui and the beach is very clean, palm trees line the edge. There are shallow coral reefs nearby which provide excellent snorkeling and not much development in this area.